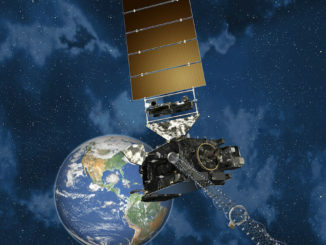 Less than two weeks after its launch from Cape Canaveral, a new NOAA weather observatory has boosted itself into a circular orbit more than 22,000 miles over the equator, and officials have renamed it GOES-17 ahead of a test series before it enters service later this year. 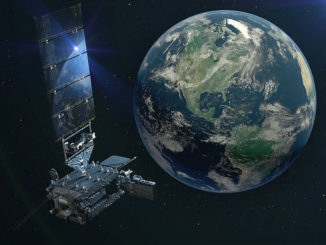 NOAA’s newest weather satellite, heading for a perch with coverage over the western United States and the Pacific Ocean, launched March 1 from Cape Canaveral on top of an Atlas 5 rocket. 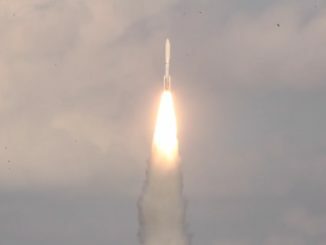 A weather satellite set to bring new storm tracking capabilities to the western United States and the Pacific Ocean rode into space atop a United Launch Alliance Atlas 5 rocket Thursday. 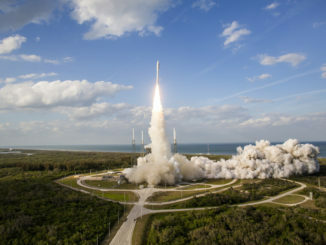 NOAA’s GOES-S weather satellite, the latest in a series of meteorological observatories dating back to 1975, lifted off Thursday from Cape Canaveral aboard a United Launch Alliance Atlas 5 rocket. 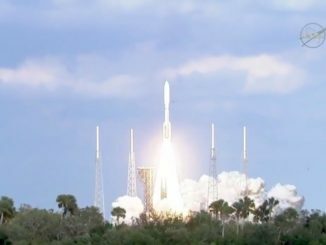 Watch a replay of the Atlas 5 rocket launch with the GOES-S weather satellite from Cape Canaveral, as seen from the Kennedy Space Center press site around 4 miles from the launch pad. 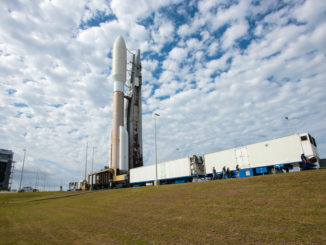 Spaceflight Now members can watch a live view of Cape Canaveral’s Complex 41 launch pad as an Atlas 5 rocket counts down to liftoff at 5:02 p.m. EST (2202 GMT) Thursday with the GOES-S weather satellite. 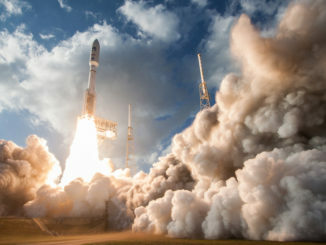 Rolling out on the eve of liftoff with the GOES-S weather satellite, a United Launch Alliance Atlas 5 rocket journeyed 1,800 feet from its vertical assembly hangar to Cape Canaveral’s Complex 41 launch pad Wednesday. 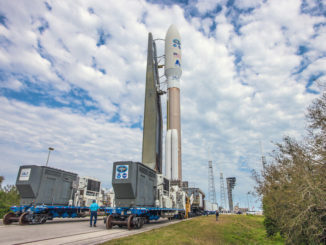 Watch a time-lapse video of the Atlas 5 rocket’s rollout at Cape Canaveral on Feb. 28, on the eve of liftoff with the GOES-S weather satellite. 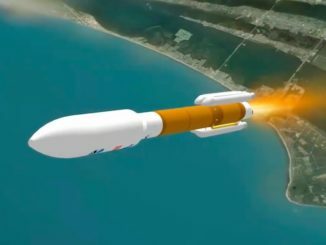 This is the launch timeline to be followed by the Atlas 5 rocket’s ascent into orbit from Cape Canaveral with the GOES-S weather satellite. 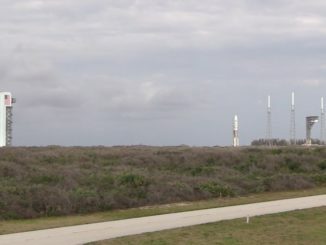 Launch is scheduled for Thursday during a two-hour window opening at 5:02 p.m. EST (2202 GMT).